Jim joined Colliers International-Tampa Bay in August of 1988 and has since specialized in Retail/Commercial Leasing and Tenant Representation in the Tampa Bay Region, Orlando Metro and Florida’s West Coast. As a Landlord’s Agent, Jim maintains an inventory of 1 to 2 million square feet of institutional grade retail shopping centers and free standing commercial buildings. Much of Jim’s business activity can be attributed to Retail Tenant and Retail Buyer Representation services. Some of the clients Jim has represented (many with multiple assignments) include: IKEA, Academy Sports (multiple), TJX Companies (TJMaxx, Marshalls, and HomeGoods – over 75 units) Office Depot (over 40 units), Panera Bread (over 40 units), Ashley Furniture Industries (multiple units), and multiples of the all of following: Lowes, Home Improvement Store for both store acquisition and site disposition, Cheddar's Scratch Kitchen, Pollo Tropical, Mission BBQ, Crunch Fitness, Bloomin' Brands, Banfield Pet Hospital, and more. By thoroughly studying demographics, tracking real estate inventory and retail absorption, Jim has become one of the most knowledgeable and successful retail specialists on the West Coast of Florida. Jim’s experience with tenant mix analysis has been beneficial in creating long term occupancy within the centers in his portfolio. Recent Shopping Center redevelopment/leasing assignments include: Cypress Creek Town Center-Wesley Chapel, Drew 19-Clearwater (redevelopment including four new anchor leases), Northwood Plaza-Countryside (renovation, repositioning, and new Anchor lease), Palms of Carrollwood-Tampa (renovation, repositioning, including three new anchor leases), Cypress Point-Countryside (repositioning and re-Tenanting) and Woodlands Square-Oldsmar (anchor Tenant leasing). In the past five years he has completed approximately 191 transactions totaling approximately 4,000,000 square feet. The value of these transactions total in excess of $305 million. Jim joined Colliers International-Tampa Bay immediately upon graduating from the University of South Florida, Tampa College of Business. Jim holds a Bachelor of Science Degree in Marketing. A native of Stamford, Connecticut, Jim’s relocation to Tampa in 1984 followed a two year internship at Union Carbide’s World Headquarters and study at University of Connecticut. Jim’s professional affiliations include memberships in the International Council of Shopping Centers, Colliers Retail Specialty Council, Colliers Retail Steering Committee, Chairman of Tenant Rep Council-East Coast Colliers Retail Services Group, USF Alumni Association, and the USF College of Business Leadership Program. 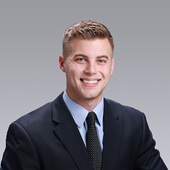 Tyler joined Colliers International in 2013 as an Associate of Retail Services, servicing major retail clients in the Tampa Bay area. 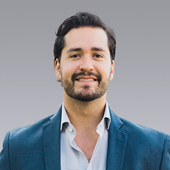 Tyler works together with accomplished real estate professional, James Kovacs, and focuses on the team’s Tenant Representation clients. He specializes in new business, tenant focused strategy, new market entry rollouts, infill markets, sites selections, off market pursuits, and lease negotiations. Tyler is currently working with clients such as Lowe’s Home Improvement, Ashley Furniture Industries, Banfield Pet Hospital, Tijuana Flats, Panera Bread, Blaze Pizza, Mission BBQ, Crunch Fitness, Burger King, Ciccio’s Restaurant Group, Village Inn, Office Depot and more. I joined Colliers International in 2012 as a Marketing Coordinator for the Retail Tenant Representation Team in Tampa Bay to develop and implement comprehensive marketing campaigns based on each project’s unique set of requirements. 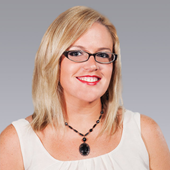 I served as the Marketing Coordinator Team Lead for the Tampa Bay office from 2012 through 2015, as well as the meeting and event planner for the Colliers International Florida Retail Group statewide for all retail conferences, ICSC and Retail Live! events. In 2017 I transitioned into brokerage and I am now an Associate in the Retail Services group. I specialize in Retail Tenant Representation, as well as Retail Leasing. I am an expert in market analysis, tenant prospecting, strategic planning, site selection, LOI negotiations, lease structuring and negotiations, brand roll-outs, preparing Real Estate Committee packages and High Quality Trade Area studies for national clients. Some of my clients include: Lowe's Home Improvement, Pearle Vision, Jeremiah's Italian Ice, Willie Jewell's Old School BBQ, DECA Dental, Jollibee, Action Gator Tire, TJX Companies and more. I also serve as master broker for Envrioclean Dry Cleaners and PAINT Nail Bar. where I am helping them with market strategy and site selection nationwide. Kyle Mahoney joined Colliers in January of 2017 as an Associate of Retail Services in the Tampa Bay Area. Kyle is directed by accomplished brokers, Jim Kovacs and Tyler Peterson CCIM, specializing in Tenant Representation. Kyle focuses on tracking and studying market trends demographics for his clients, as well as pursuing and facilitating sale and lease transactions.